A group of 12 north London homeowners got together and persuaded Camden council to let them build a one-storey roof extension on each of their homes in a single daring construction project. 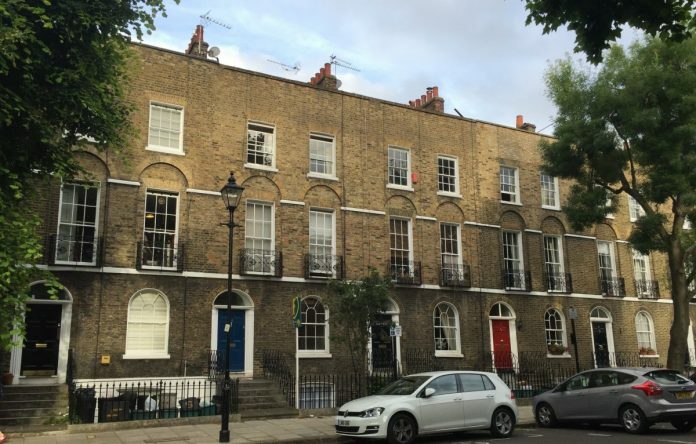 The “Fitzroofs” scheme in Fitzroy Road, Primrose Hill, is a pioneering example of how neighbours can come together to successfully build upwards to create both an appealing streetscape and extra space for new homes. It’s an idea that is now gathering momentum in London and the city’s lower-density outer suburbs to help solve the housing shortage. It offers the prospect of financial gain as an incentive to homeowners, while benefiting others at the same time. Sajid Javid, minister for the renamed Housing, Communities and Local Government department recently floated the idea of allowing homes to more easily extend upwards and for suburbs to be densified, particularly around transport hubs. At the same time, Prime Minister Theresa May ticked off developers for not doing their duty, vowing to “rewrite the laws on planning” and take a tougher line with councils that fail to meet housing targets. Although Mrs May did not refer directly to extending permitted development rights so that people can build up without needing planning consent, some think the new draft National Planning Policy Framework, launched the day after the PM had spoken, offers encouragement to local authorities to “promote regeneration and change” in addition to maintaining an area’s prevailing character. Other groups, including housing pressure group London Yimby — Yes In My Back Yard — are calling for “Better Streets” whereby if residents agree, densification and “beautification” can take place, bypassing planning gridlock. Retired architect Bernard Hunt helped drive the Fitzroofs project and himself lives in Fitzroy Road. “The whole thing took us five years when it should perhaps have taken three and a half,” he says. “I think the planning process should be easier. Residents were spurred to pursue the scheme after one couple implemented an historic consent for a mansard roof storey, which disrupted the identical appearance of the street’s 12 homes. “We decided to turn that negative into a positive,” says Bairstow. He thinks it is a collective approach that might work on other projects. The idea of densifying neighbourhood centres is being pursued by Croydon council, which is finalising new guidance called Evolution of the Suburbs that should become policy in October. The guidance is a product of the new draft London Plan that sets Croydon a target of 3,000 homes a year to be built by 2028, doubling its existing target. “We want to make sure these homes are deliverable. So we met residents in the north and the south of the borough in January,” says director of planning and transport, Heather Cheesbrough. “We’re pleased we got a receptive audience and acceptance that we need to deliver more housing and intensify some areas, but it’s obviously a different issue when a block of flats is proposed on the house next door to yours. “We are lucky we have a lot of large detached houses on large plots in the borough. When you assemble several plots you can get a better solution. "If residents did get together to densify their street or block we would welcome and facilitate that and it is something that’s happening. We have several developers in Croydon who specialise in that market. “We feel we are ahead of the game with this policy which shows residents how their neighbourhood might evolve. It is all about placemaking. The architecture practice HTA Design, co-founded by Bernard Hunt, has developed the concept of “Supurbia”, partly as a consequence of the Fitzroy Road experience. This proposes incremental densification of selected low-rise suburban neighbourhoods near transport hubs, to create more homes and make lacklustre low-density suburbs more vibrant, affordable and better places to live. “We’re advocating a more permissible planning regime supported by design coding for the densification of suburban neighbourhoods,” says Riette Oosthuizen, HTA’s head of planning. The Supurbia project team studied areas surrounding 173 rail and Tube stations in 15 outer boroughs. It claims potential for 364,000 new homes to be built in this way, based on a 50 per cent take-up of the idea. It also calculates possible windfalls of up to £190,000 for some owners — a “NIMBY-to-YIMBY” incentive for residents. “There is value in there for homeowners and we all need somewhere for our children to live,” Oosthuizen points out. The extended home could be developed to create self-contained homes for children or elderly parents. “We need to make the development and planning process simple so it can happen. It would encourage so much more creativity. We also need to be looking at major commercial sites where this sort of thing could happen."